"After I wrote this book and from the concepts I postulated in it, I outlined the hypothesis of the analogous city, in which I attempted to deal with theoretical questions concerning design in architecture. In particular I elaborated a compositional procedure that is based on certain fundamental artifacts in the urban reality around which other artifacts are constituted within the framework of an analogous system. 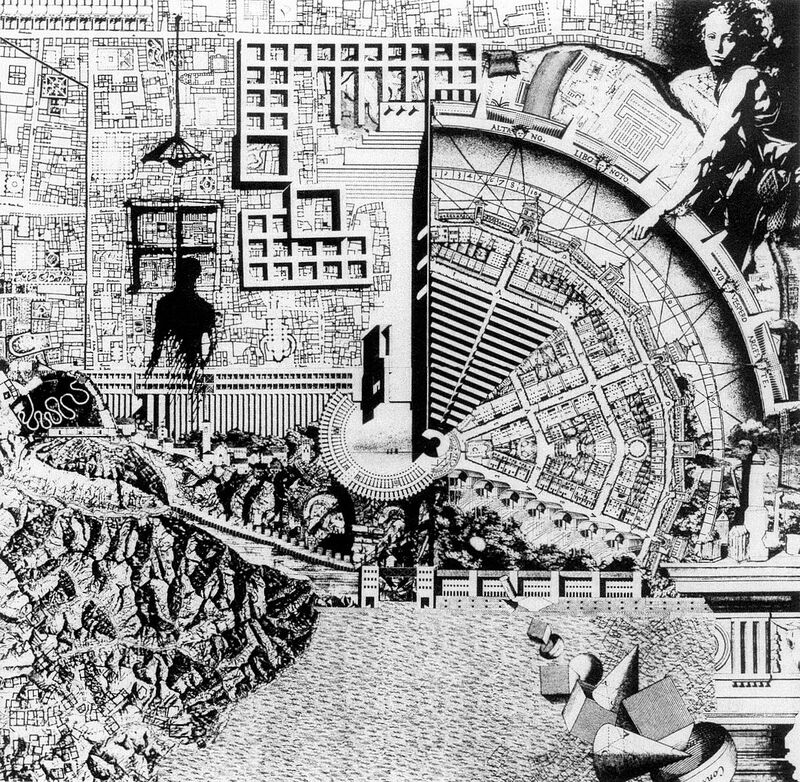 To illustrate this concept I gave the example of Canaletto's fantasy view of Venice, a capriccio in which Palladio's project for the Ponti di Rialto, the Basilica of Vicenza, and the Palazzo Chiericate are set next to each other and described as if the painter were rendering an urban scene he had actually observed. These three Palladian monuments, none of which are actually in Venice (one is a project; the other two are in Vicenza), nevertheless constitute an analogous Venice formed of specific elements associated with the history of both architecture and the city. The geographic transposition of the monuments within the painting constitutes a city that we recognize, even though it is a place of purely architectural reference. This example enables me to demonstrate how a logical-formal operation could be translated into a design method and then into a hypothesis for a theory of architectural design in which the elements were preestablished and formally defined, but where the significance that sprung forth at the end of the operation was the authentic, unforeseen, and original meaning of the work."